Unfortunately builders have earned a reputation for being unreliable and if you're looking for a building contractors with a difference, at Berry Construction we are proud of our commitment to customers service and our excellent reputation for completing projects on time and on budget. 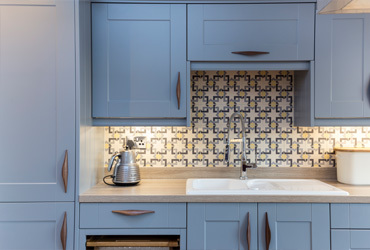 Our skills and expertise cover everything from property maintenance and development through to home extensions and roof conversions.Our reliable and efficient team are polite and considerate and will work hard to ensure the highest standards of workmanship are met at all times. Here at Berry Construction we have seen a significant rise in loft conversions in properties in the Mortlake area and if you live in London, you'll be well aware of the continued rise of property prices in the city.With this in mind, finding a spacious home in London can prove time consuming and stressful so increasing the space in a smaller property with a roof conversion has become a very popular option. Many properties in Mortlake and surrounding areas enjoy the benefits of a garden and if you have a family you're unlikely to want to reduce the size of the garden with a home extension.This is where a loft conversion can prove to be very useful as a way to increase the space in your home without compromising on outdoor space.As specialists in loft conversions in Mortlake, we've converted lofts of all shapes and sizes and we'd be happy to offer free advice on whether your loft is suitable for conversion. Lofts can be successfully converted into a wide range of different rooms – not just bedrooms.If your roof space is exceptionally large it may be possible to convert into a couple of rooms such as a master bedroom with a dressing room and en suite bathroom, for example, or additional bedrooms for children or guests.The majority of loft spaces can be converted and provided your home isn't in a conservation area or a listed building, planning permission may not be required. 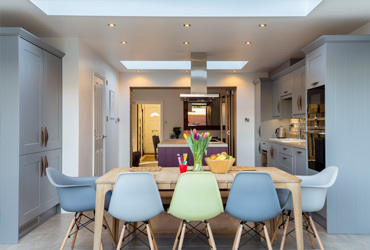 If you're unsure of how to make the best use of your loft space we'd be happy to offer further advice and guidance.We always advise our clients to think about the space that they feel is lacking in their home and how creating additional space in the roof could help.For example, if you work from home do you have to sit at the dining table?If you do, your loft could make a great home office.Or are you fed up of sharing the TV with your teenage children?Why not turn the loft into a den, a great place for teenagers to relax and chill out away from the rest of the family. 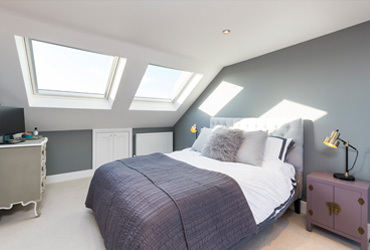 However you choose to use your new loft space, we'll work closely with you from the very start to ensure that your loft conversion project is completed on time and on budget.If you live in the Mortlake area and are considering converting the space in your loft, why not get in touch with us for a free, no-obligation quote?